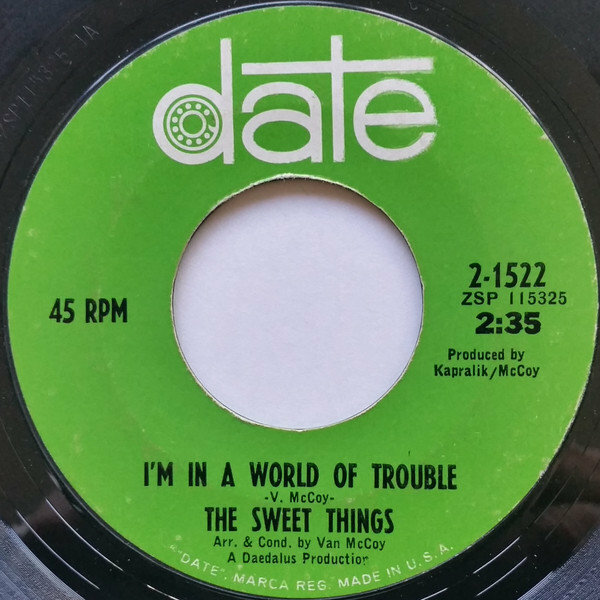 Sweet Things - I'm In A World Of Trouble - Date bootleg? I was just going through my records and came across this which seems to have a different catalogue number to the one that is listed on Discogs (The matrix number seems to be for 'The Steelers ‎– Get It From The Bottom' also on Date. I tried finding some info on it but nothing is coming up when I try and search. Yeah, looks like you are right, it does look different. 30 seconds difference, and a different ZSP number. And what's really good, in this case, the boot has been given catalogue number "Z" instead of "2" so easy to spot as Date only did "2"
This record was pressed at 2 different pressing plants. One is a vinyl original and the other is a styrene original. But both type of originals have the release number 2-1522. The type face on your copy's title looks modern. It's got that digital graphic look about it. To be honest that looks like a hand printed label stuck on the record. 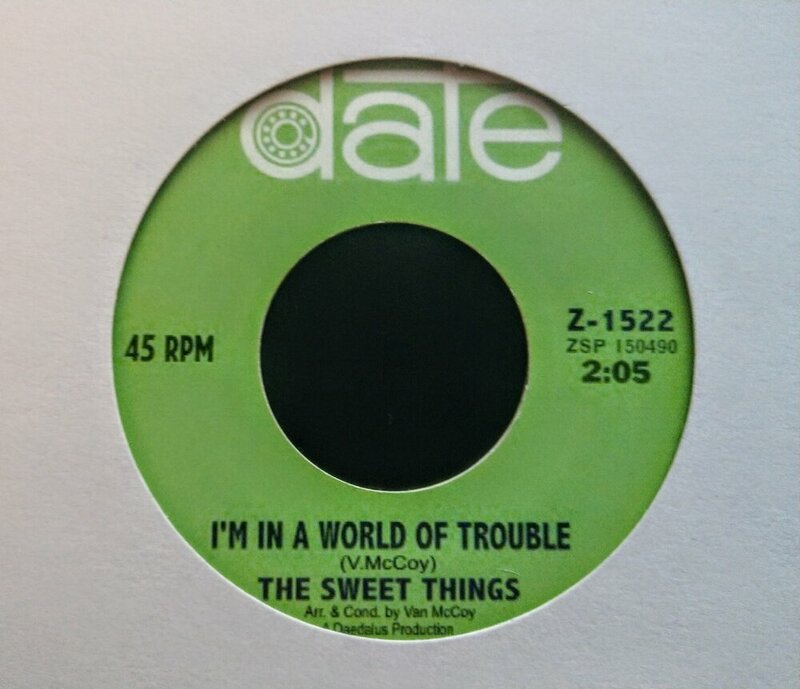 maybe because orig label was damaged, or maybe it's a soultown copy underneath. Whoever did the label used a Date blank and only changed some info, using different typeface etc. The 45 RPM / ZSP150490 / 2:05 and the Arranged . . . etc. are unchanged from a different record (was the Steelers mentioned ? ), whereas the rest of the text is a new typeface (you can see the difference in the Van McCoys). there's no publisher info on the label either.